The Dirty Dozen Closes (part 1) - Bottom Line Underwriters, Inc. These are the twelve most commonly used closes in the sales industry. Now, don’t ask me what research firm did the preliminary data acquisition work or what market segments were included, or was a control group used, etc. As far as the “top twelve commonly used” is concerned, I’m guessing, okay? Actually, I was just stumped for a good “opening grabber line” and grew tired of just sitting here, so sue me. These are just a few of the most common closing strategies shared at the workshops we’ve conducted all across North America. Please keep in mind that nothing works all the time, and no one thing will work for everybody. Each of these strategies, of course, need to be tailored to the individual user, to the specific customer, and the particular situation. Also, this is by no means the definitive work on closing and it’s not intended to be. Heck, some of these things are older than dirt and some of them (in my opinion) deserve the thick dust that’s resting on them. But don’t let my personal bias sway you at all. Just because something would never work on us is no reason not to have it in our toolbox. Remember, if all we have are tools that would work on us, then all we’ll ever do is close people who are like us. That’s the quickest way to an income rut that I know of. Besides, some very talented salespeople have told me that they make these strategies work for them. If they can use them successfully, then so can we. So here are the first six. 1. Keep a minor request from the customer as a bargaining chip in reserve. 1. Follow a primary closing question or statement with a secondary question. e. Using a control question as the secondary question is the most effective way to close with this one. 1a. When they answer the either/or question, they’ve bought. 1. Answer a question with a closing question. 1. Look defeated and talk slowly and quietly. b. We then apologize or overcome the objection and continue. 1. List the reasons why they wouldn’t buy, ending with price. b. 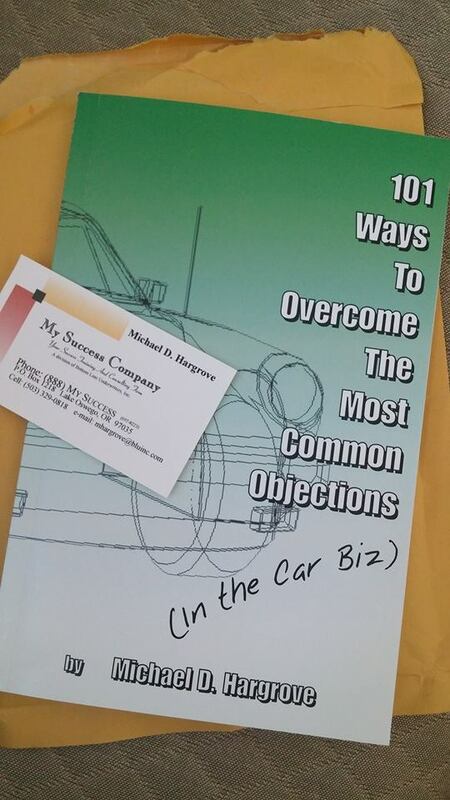 Eventually our customer will decide to buy or realize what we’re doing and come out with the true objection. 1. Relate a similar situation with either a sad or happy ending to create urgency or to close. b. People love stories, so have fun with this technique. c. We can make it more or less believable and humor works too!